Please note that the prices we are asking do not begin to reflect the time associated with the creation of and preservation tasks associated with the GFO's Manuscript Collections. Most of the collections predate the luxuries now afforded by modern-day Internet searches and online databases. As a result, the original researchers had to invest years of their time gathering information, most often through handwritten correspondence or by travelling to physical research facilities. As part of our Digital Manuscript Collection project, our volunteers and committee members have spent countless hours organizing, scanning and creating finding aids in an effort to preserve and make available at the touch of a button the wealth of family histories contained within each collection. Ultimately, our number-one goal is to make these manuscripts and personal papers available to our members and other researchers. The Forum feels that these collections are unique and contain information not found in other sources. We also recognize that not all of the information within the files and collections will be pertinent to every researcher's project. Free downloads for the first 1,000 pages over a twelve-month period. Additional downloads at $.03 per page. $.05 per page for the first 1,000 pages. $.03 per page for each additional downloaded page. 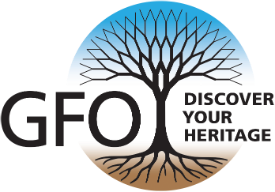 For research requests, if you would like us to search through a specific manuscript collection to find family history information, please see the GFO's general Research Policy. 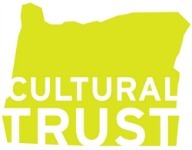 The status of copyright for any materials included in the Genealogical Forum of Oregon, Inc. Manuscript Collections is governed by the Copyright Law of the United States (Title 17, U.S.C.). Any use of materials from these collections, beyond the exceptions provided for in the Fair Use and Educational Use clauses of the U.S. Copyright Law, may violate federal law. Permission from the original author(s) and contributor(s) to publish or reproduce is required. Please note that the Forum has made every and all reasonable attempts to secure written permission from the original creators to display and disperse digital copies of the materials contained within each collection. All of these attempts have been documented and can be viewed upon request. The Forum will gladly remove collections from digital display at the request of the original creator or donor. Please send any concerns to manuscripts@gfo.org.